As you say, it seems a pretty good deal for that price. Great pictures! Thanks for this post. Excellent, extensive review. 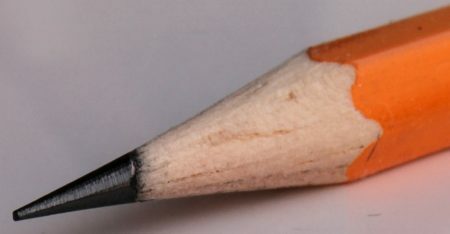 You mentioned many good points about the Deli 0635 but in my view you didn’t mention the most obvious point which you mentioned over on Penciltalk – http://www.penciltalk.org/2011/07/classroom-friendly-pencil-sharpener/comment-page-1#comment-178138 – the rubber coated grippers which don’t mar the surface of your pencils. The Carl Angel-5 ruins the surface of my otherwise pristine Palomino Blackwings, and this is even more noticeable on a PBW where there is no lettering getting in the visual way of these horrid jaw marks. I will be ordering a Mitsubishi KH20 (or your review model if I can find it online anywhere) which also has padded grippers. 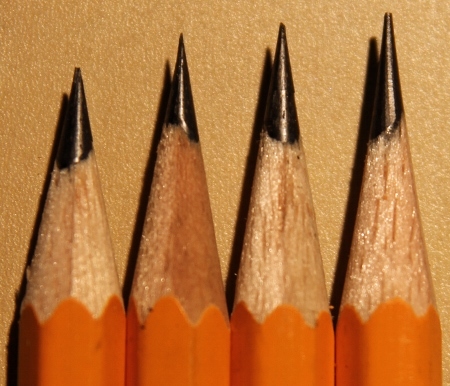 Its only the comments from bloggers which allows me to determine which of these types of sharpeners have or don’t have padded grippers. Strange I can’t find this information from the advertising of manufacturers. 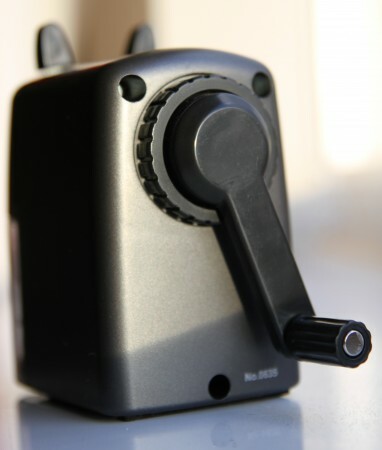 I have no connection to the seller (other than that I just ordered one), but folks can get this little sharpener on eBay right now from a seller who has a lot of them. 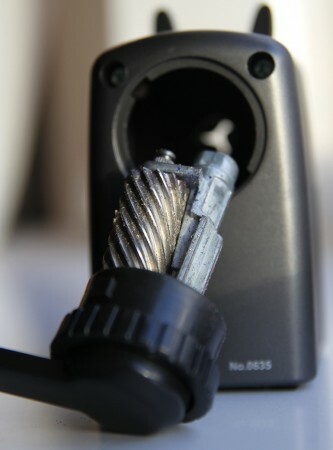 I have this little sharpener…again on memms recommenadation in this post. Mine is not quite as good as yours memm – the point, I would call a short long point and not as sharp as a carl angel 5 (which is the king of long, sharp points). It still does plenty of service though for the initial sharpening of new, unsharpened pencils…then I switch to the Carl Angel 5 for the final sharpening. Certainly well worth the price, but watch out for those with big hands as the knuckles tend to get scraped turning the handle as there is little clearance to the surface below. Kiwi-d, I even have second one now – one at home, one in the office. 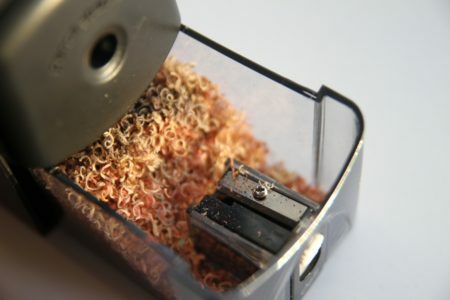 Sean, it’s a great sharpener, my most used sharpener in the last three years. John, that’s a good change to get the sharpener for a still reasonable price. Thanks for the link. Kevin, you are right, I should have mentioned the rubber coated grippers. I probably didn’t because I don’t like sharpeners that leave a mark and can’t accept getting my pencil disfigured in such a way (trying to convince myself these marks will improve the grip didn’t work either). As far as I can tell, both my 0635’s have an angle of 17.5° (see this list), but I don’t have proper tools to check. I don’t know what angle the Carl is supposed to have, but I hope they didn’t change the mechanism in the 0635, not that it’s now producing the same point as the 0668. Next time I’ll be in Shanghai I’ll try to get one for you if they are still in supermarkets, so that you can compare it to yours.